Cebollas Encurtidas is a popular garnish for tacos and tortas (sandwiches) made with sweet red onion, tart lime juice, and spicy serrano chiles. C is for cebollas encurtidas. Certain dishes require a particular garnish or topping. Such is the case with Cebollas Encurtidas (pickled onions). 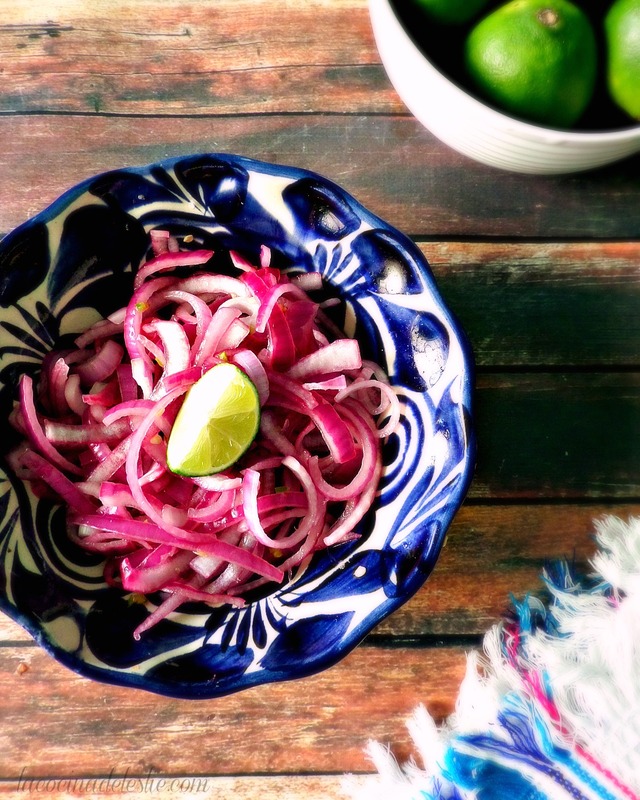 I can't imagine eating Tacos de Carnitas or a Torta Ahogada or Cochinita Pibil without a generous helping of pickled red onions on top. Recipes for Cebollas Encurtidas can vary from family to family. Our family's recipe is pretty simple as it only requires four ingredients, including salt. If you're not big on spicy food, feel free to omit the serrano chiles. Of if you prefer something spicier, substitute a fresh habanero pepper for the serrano chiles. This recipe was originally published in my cookbook, Taquería Tacos. If you haven't already ordered a copy, head on over to Amazon to pick up your copy today! 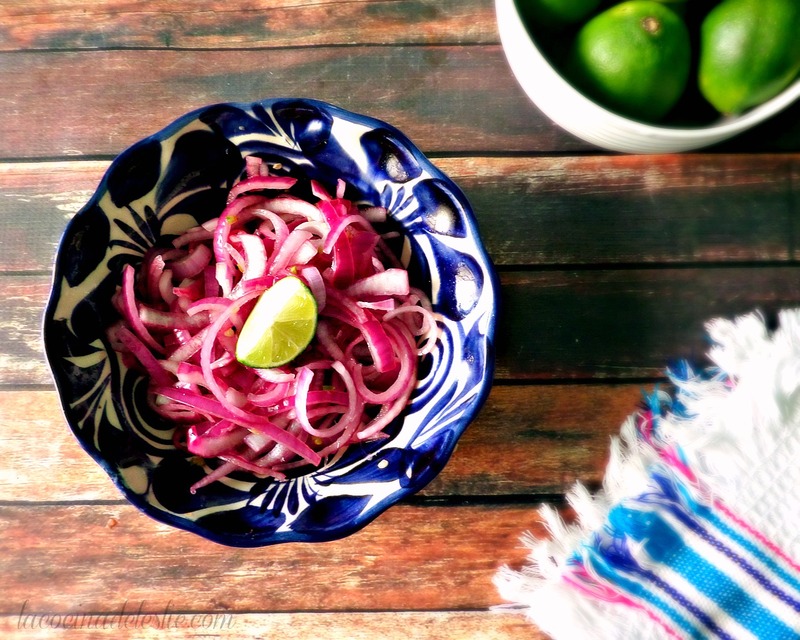 Combine the red onion slices with the finely chopped serrano chiles; season with salt. Squeeze the juice of 3 limes over the onions; stir gently to combine. Cover with plastic wrap and refrigerate for 2 to 3 hours before serving. Enjoy! *Disclaimer: This post contains an affiliate link, which means I earn a small commission for any purchase you make after clicking on the link(s) provided.